In long-awaited and explosive testimony before a congressional panel, President Trump’s former personal lawyer Michael Cohen said that as a candidate, Trump was aware that Roger Stone was working with WikiLeaks to disseminate hacked emails, and that after he took office, the president reimbursed Cohen with a personal check for hush money payments to the actress Stormy Daniels. 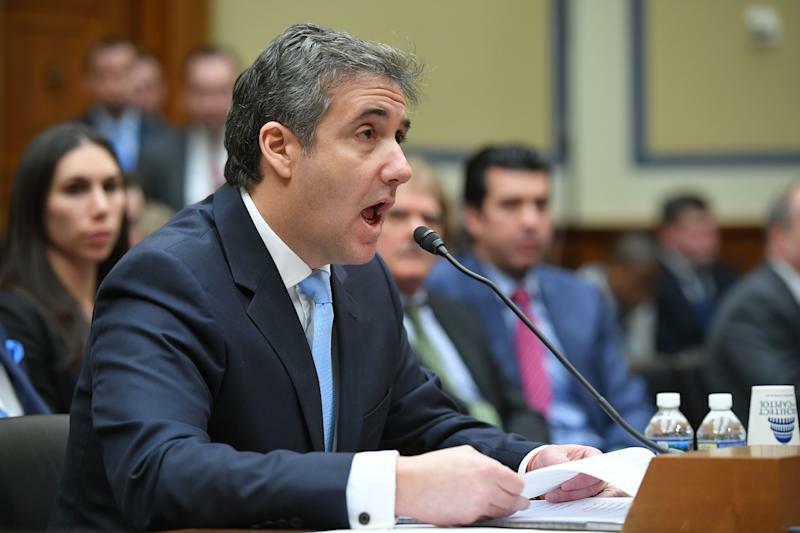 In his opening statement at a Wednesday morning hearing by the House Committee on Oversight and Reform, the president’s former personal lawyer and Republican National Committee deputy finance chairman attacked Trump’s character and described the work that he did for him over a decade, as a lawyer and fixer in matters concerning his private and business life, campaign and presidency. Among the new details in Cohen’s account, Trump had him threaten his schools and the College Board not to disclose his grades or SAT scores, and that at a time when he cut his employees’ salaries by 50 percent, Trump received a $10 million refund from the IRS — and made fun of the government’s stupidity in sending him money. He described Trump’s penchant for making racial slurs against black people. According to Cohen’s testimony, he was present when Trump was personally informed by Stone, a longtime ally, that he was in communications with WikiLeaks’ Julian Assange about the upcoming release of hacked emails from the Democratic National Committee. Stone, who is under indictment over charges he lied to Congress, has denied speaking directly to Assange or being involved in the email releases. Cohen provided a copy of a check Trump wrote from his personal bank account after he became president to reimburse Cohen for hush money payments he made to Stormy Daniels during the campaign. He also provided copies of 2011-2013 financial statements that Trump gave to Deutsche Bank and letters Cohen had written threatening academic institutions to not release his grades or SAT scores. Trump had previously called on former President Barack Obama to release his college applications and transcripts. Cohen also said that while Trump courts white supremacists and racists, he was even worse in private. The White House has denounced Cohen’s testimony as fabrications. "Disgraced felon Michael Cohen is going to prison for lying to Congress and making other false statements,” said press secretary Sarah Huckabee Sanders in a statement Tuesday morning. “Sadly, he will go before Congress this week, and we can expect more of the same. It's laughable that anyone would take a convicted liar like Cohen at his word, and pathetic to see him given yet another opportunity to spread his lies." Cohen pleaded guilty in November to lying to Congress about a Moscow real estate deal. He has also pleaded guilty to campaign finance fraud related to the payments to Daniels. Cohen acknowledged his past lies in his opening statement and apologized. In his recitation of Trump's greed, dishonesty and duplicity, Cohen summed up many of his points with the refrain, “And yet, I continued to work for him.” Cohen said he has never asked for and would never accept a pardon from Trump. The testimony had originally been scheduled for Feb. 7, but was delayed after Cohen said he had been threatened by Trump and his allies. At the start of Wednesday’s hearing, Republicans on the panel attempted to get Cohen’s testimony postponed. Cohen testified to the Senate Intelligence Committee on Tuesday behind closed doors and will be doing the same with the House.